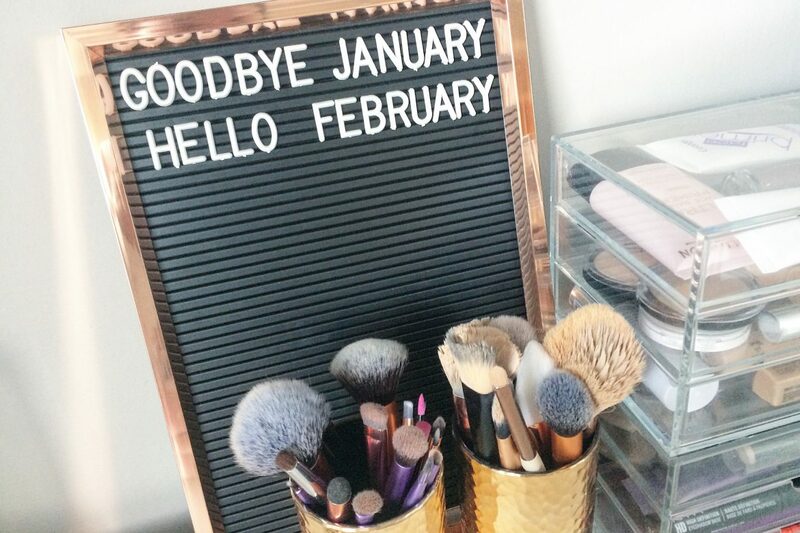 Hallelujah, January is over! I’m not really part of the January hate brigade personally because it’s my birthday mid-month so I used to celebrate all month long. Now I’m a very old 26, I literally went out for food and that was it. I really wasn’t in the celebrating mood this year! It definitely has felt like the longest month though. It was a pretty slow month for me: it was my first full month of freelancing which is always a struggle to begin with. February is definitely the month that I put more of a focus on finding more work and see how I can best manage my workload. I have a to-do list for making my freelance work a success which is my plan of action for Feb. I also want to work out a similar plan for my blog. I’ve got lots of ideas rolling around in my brain but I need to get them on paper/online. I’m also heading to the Leeds Blog & Beyond Roadshow workshop at the weekend so hopefully that will give me some much-needed inspiration. January was a month for me to relax a little more and get back to doing what I enjoy. 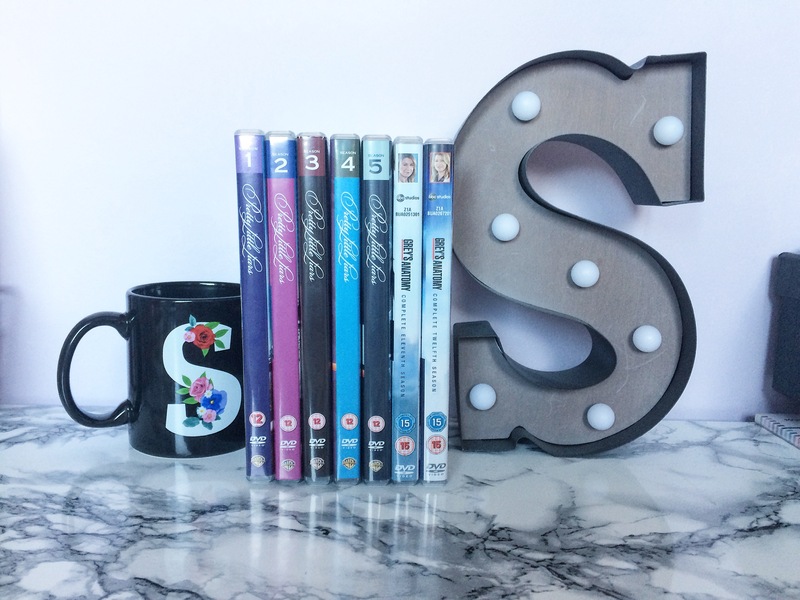 I started reading for fun again, went a little crazy decluttering and spent a lot of time watching TV box sets. I’ve been on the go since I started university a few years ago that I’ve never really had a great deal of time to myself. I was studying and balancing work and then worked full-time afterwards so never had fun winter/summer breaks like other students! I wanted to start a series every month where it’s just a chatty catch-up of what’s been going on and what I have to do the following month. I didn’t want it to be full goals-focused so I’ve added a few different lists to break it up. I love reading monthly round-up posts because I’m super nosy! 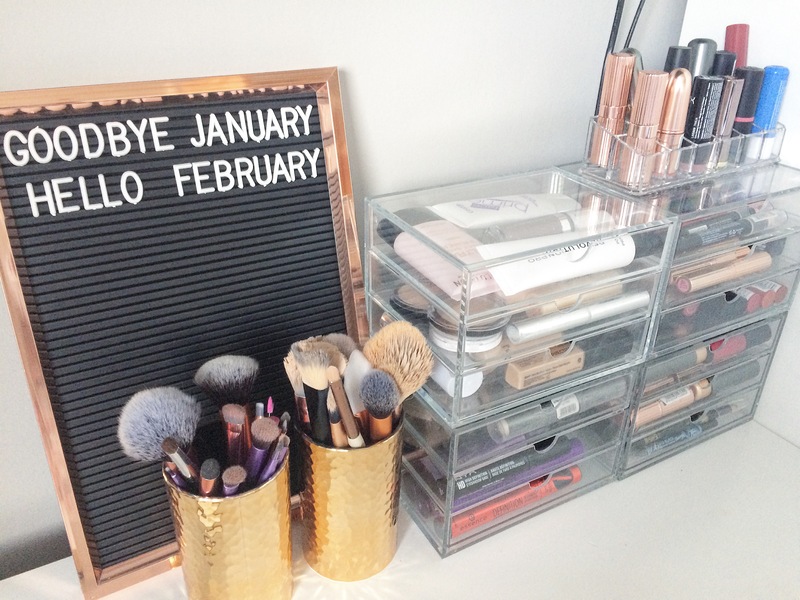 Decluttering my beauty stash: I’ve collected so many products over the last few months that I’ve decided, along with a couple of friends, to do a project pan in 2019. We’re each going through our stash and using up all the items we have. We can buy but only essentials or if we’ve ran out of a certain product (I bought shampoo and conditioner because I needed some!). Reading: Last year, I barely had any time to breathe, let alone read! I’m really enjoying getting back into reading and I hope this continues all year through. I was aiming for 26 books to finish this year but I have a feeling I may increase this target! Shopping my wardrobe: Similarly to decluttering my beauty stash, I’ve also had a bit of a wardrobe reshuffle. I’ve taken to placing all items on purple hangers and once worn and washed, they go on a pink one instead. This way, I have a visual note as to what I’ve been wearing. I’m also logging the amount of wears for each item so I can get rid of items I haven’t worn after a while. Sunday nights with Vera: I’ve been turning into a right granny on a Sunday night. I like to have my shower, pamper myself a little and then sit down to watch Vera with my mum and a mug of hot chocolate. I love a crime drama (Law & Order SVU is still my fave) so it’s the perfect chill out time for me. My dressing gowns: I’ve basically lived in my dressing gowns. Because I’m such a hermit, it means I can avoid putting the heating on too! I’m always ridiculously cold anyway! I have finally finished my Masters! : I failed my original final project and submitted it mid-January again to be re-assessed and finally I passed! Thank goodness, no more studying ever again! Cheese toasties: They’ve become my staple dinner when working from home! Dance Moms: I’ve been watching old episodes on 5Star and I’m obsessed again! The moms drive me insane but the talent the girls have is phenomenal. My faves are Chloe, Nia and Kalani! Next jumpers: I got a gift card for Christmas from my auntie which meant I only spent £11 for two jumpers. Next is definitely one of my favourite stores, just because the quality of them. I bought this navy one as well as this teal, striped one. 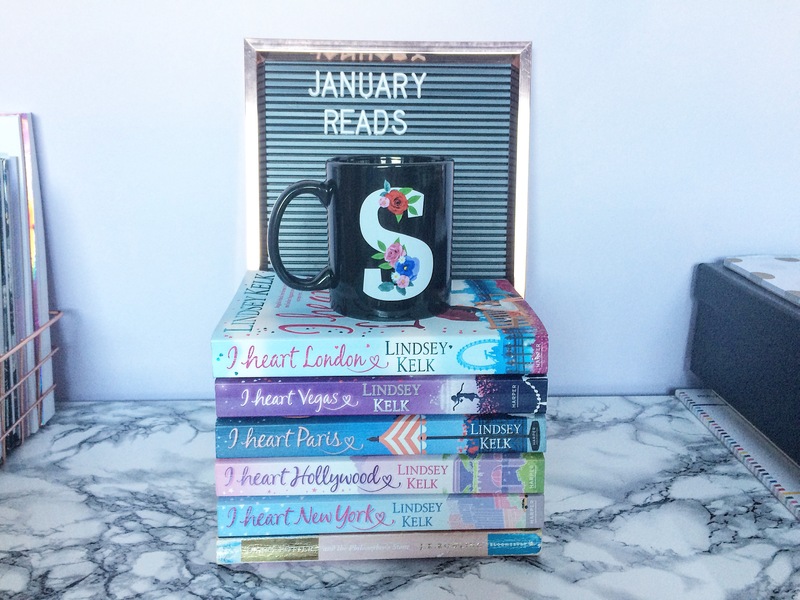 Lindsey Kelk books: She is my fave author and I’ve loved re-reading her I Heart series so far! They’re just so funny and easy to read! Catch up with podcasts: I have a couple of Vix Meldrew ones to catch up with as well as a few others. I’m always looking for recommendations though so comment with some of your faves! Plan my March London trip: I’m off to C2C at the beginning of March but because the music festival doesn’t start until late afternoon, I have three mornings free in London. I want to more than just shopping so any solo adventure ideas would be welcome or if you’re a Londoner, I might be glad of some company! 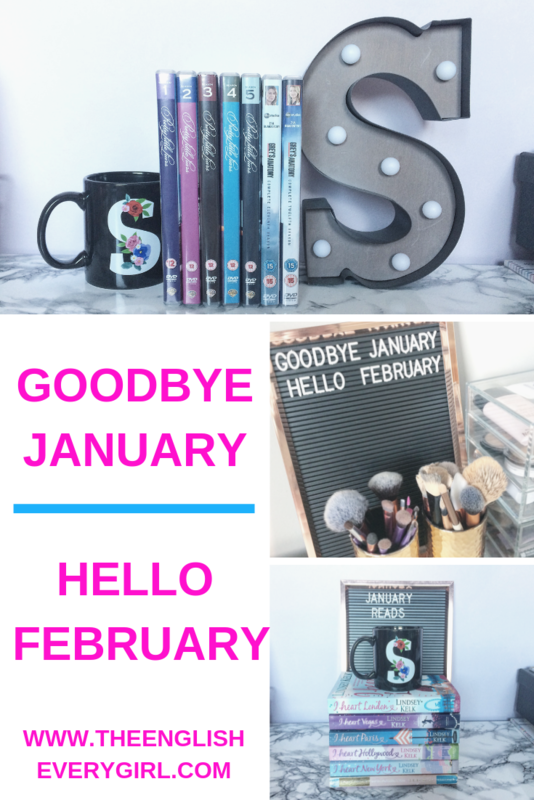 Content and social media plan for whole of Feb: I thought January would be a great month for blogging but I’ve found myself not being as productive as I would’ve liked so I want to improve this in Feb! Read 8 books: After reading 7 last month, 8 seems reasonable. My aim was to read 26 in 2019 but I might aim for double that! Bake some cookies: I used to love baking (I only bake a few dishes that I know well) but I’ve never tried baking cookies. I love that you can put whatever extra ingredients in! I thinking Smarties because I got tonnes for Christmas that still need eating up! Gain one freelance client: I have a couple of jobs in the works so I want to get them cemented and in my diary! I’d love to work with more local businesses and help their blogs/social media. Continue with Project Pan: My lovely friends, Ren and Rae, and I have been challenging ourselves this year to use up our beauty stashes before buying any more. Two of us have broken it but for essentials (toothpaste, shampoo) but we’re loving using up products and giving our mini reviews. 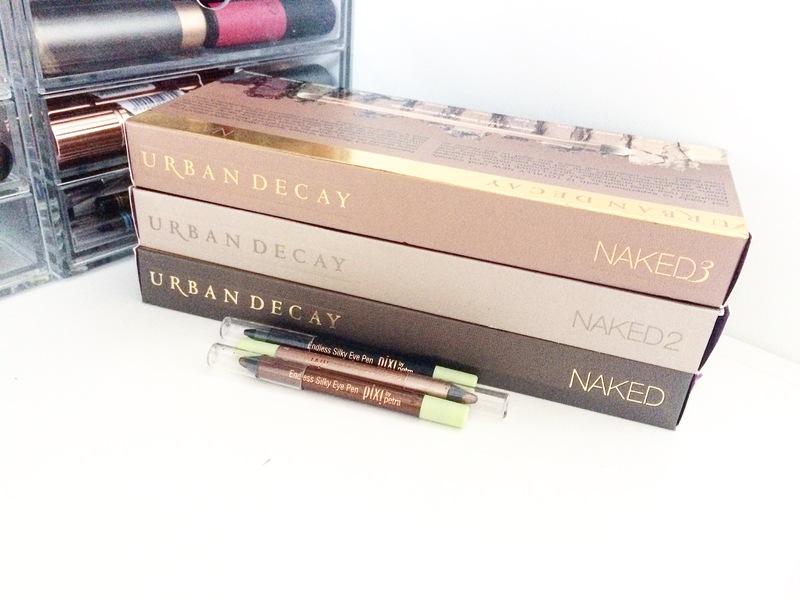 We’re also choosing a different eyeshadow palette a week to use too and it’s been so much fun! Stretch daily: I suffered a slipped disc a few years ago which means my back aches ALL THE TIME. I also go through phases with working out but stretching always helps. Yoga and pilates can be great for mobility, as long as you don’t stretch too much! Get my hair cut: I haven’t had a trim for a few months and it needs cutting. I’ve never dyed my hair so I tend to just go for a dry trim because the products they use tend not to be cruelty-free. Sell clothes/shoes online: After Marie-Kondoing my room, I have quite a few items to get rid of. I usually put stuff on eBay for a month or two and then take them to a charity shop if they’ve not sold. Does anyone have any plans for February? What do you want to achieve this month?